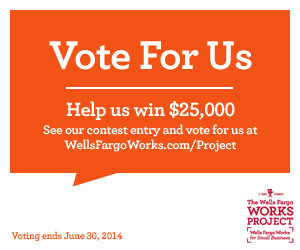 Wells Fargo Bank is engaged in supporting local small businesses. To this end, they are conducting a contest that could earn up to five companies — $25,000; and 30 entrepreneurs — $1000 for the efforts. The Forgotten Hollywood journey began as a humble attempt to jumpstart my radio broadcasting career as an author. As a longtime Wells Fargo customer, the Garden Gove (California) Branch helped me set up a DBA account that would consolidate my earnings from what has now become an award-winning book series. Forgotten Hollywood shares America’s story through eyes of character actors from Hollywood’s Golden Age, including Lionel Barrymore, Frank Morgan, Peter Lorre, Hattie McDaniel, and Cesar Romero. After completing my goal to become a successful scribe, the Forgotten Hollywood franchise has blossomed into a weekly radio show on the Financial News and Talk Network in Southern California; a Blog Site recently honored by the Los Angeles Press Club; and a Forgotten Hollywood Documentary, that spawned a business investment plan and five minute Trailer. Once I decided to become a first-time producer of a documentary, Wells Fargo again came to my aid by setting up an additional Forgotten Hollywood LLC account. I spent the next twelve months raising money through a crowd-funding site (Indiegogo) that funneled investor monies to my LLC account. My production team raised $5000; enough to create the needed business plan and Trailer to tell a remarkable Forgotten Hollywood-story. Lionel Barrymore was a legendary character actor, diagnosed in 1937 with advanced degenerative arthritis at the height of his career. Despite a growing call for his retirement, the actor carried on with his cinematic endeavors, creating such memorable roles in It’s a Wonderful Life, Key Largo, and Dr. Kildare series. His inspired performances from a wheelchair motivated Helen Keller and President Franklin D. Roosevelt to step up their own personal struggles with disease and disability. FDR partnered with Hollywood to make the March of Dimes the most successful charity in American history. A decade after the president’s death, contributions to the March of Dimes has helped researchers eradicate Polio in the United States. Lionel Barrymore’s stubborn resolve not to retire from cinema shaped the way theatre-going audiences perceive disease and disability. The actor is a pioneer in promoting the field of medical research. The Forgotten Hollywood Documentary, a Pilot to a proposed cable/television series, shares this remarkable story in a PBS-style approach. Our production team has assembled a talented cast, including Oscar-winning actress Margaret O’Brien, Debbie Reynolds, and Emmy-winning narrator Jeff Bordner to provide first-person accounts of Barrymore, Keller, and FDR’s combined efforts. For example, O’Brien actually worked with Lionel Barrymore in two motion pictures, and was the first poster child for the initial March of Dimes campaign. To date, we have theatrically shopped the project through Vision4Media Entertainment at American Film Market, Cannes Film Festival, and Toronto Film Festival. We have attained great interest to distribute a finished Pilot through domestic and international media outlets. 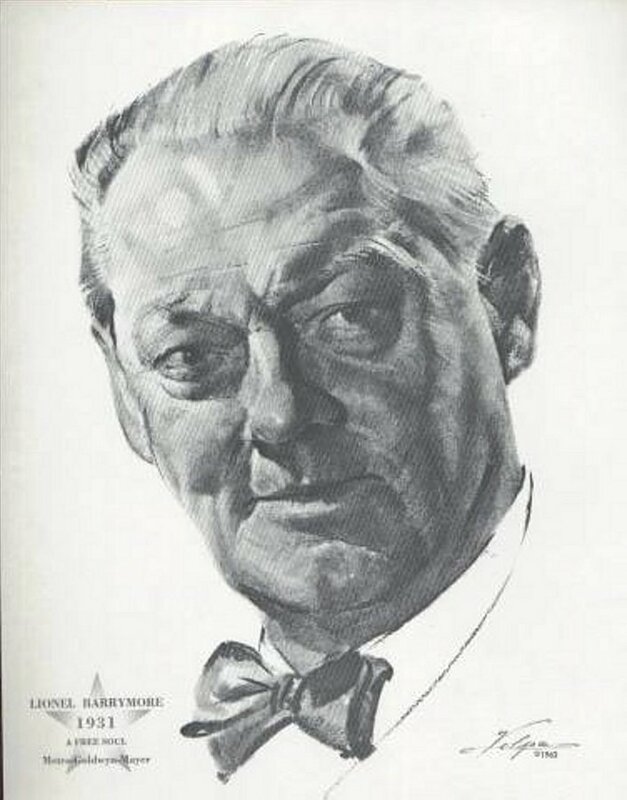 Forgotten Hollywood’s story about Lionel Barrymore has the potential to raise awareness for the following charitable organizations: March of Dimes, Rotary International’s Polio-Plus Program, National Arthritis Research Foundation, American Foundation for the Blind, and National Easter Seals Society for Crippled Children. Our projected budget is $100,000 to $250,000, a modest investment in today’s spiraling cost of theatrical productions. A cash outlay of $25,000 would allow us to begin in earnest the focused production of the Pilot based on the above details provided in the investment plan and trailer. Whether this current opportunity becomes successful or not, our sincere intention at Forgotten Hollywood is to make this documentary a reality. The Forgotten Hollywood franchise of books, radio program, and blog site will continue to thrive… And, I will continue to partner with Wells Fargo to make sure all my budgetary concerns remain solvent. This entry was posted on Thursday, June 26th, 2014 at 12:06 am	and is filed under Blog by Manny Pacheco. You can follow any comments to this post through the RSS 2.0 feed. Responses are currently closed, but you can trackback from your own site.